Wendy Tuohy is the current editor at several Fairfax publications; DailyLife, The Age and The Sydney Morning Herald. With over 20 years’ experience, Wendy started her career as a journalists and editor at The Age working on the Green Guide and The Age Cheap Eats until 2005. She has also worked as a fill-in host on ABC Radio Melbourne, appeared regularly on ABC News Breakfast and Nine’s Today Extra. 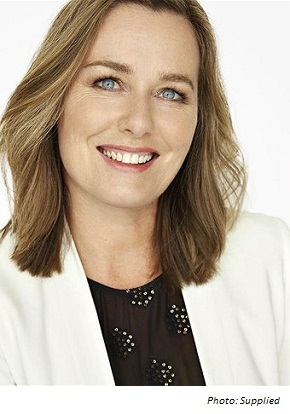 In 2008, Wendy joined the Herald Sun as a contributing blogger and feature writer before leaving the publication in mid-2018 to return to Fairfax. Her Twitter handle is @wtuohy. You recently moved back to work at The Age as digital lifestyle editor and columnist. How are you enjoying the role so far? I am really fortunate to have found a role that I feel is a great match for my experience and passions. The Age workplace is a joy. Having been welcomed back warmly after 13 years away from The Age made the steep learning curve involved with learning a new role feel smooth. Editing is a privilege and comes with its own set of challenges. I have not edited a fast-moving digital site before, only print sections, so this has been a time of great learning, but being among a team with a very varied spread of age and life experiences is Christmas. I would thoroughly recommend it. If there has been one big lesson in getting to the stage you’re at now in your career, what would that be? Never completely lose touch with the workplace during maternity leave; remaining in touch with work can be a massive challenge but I would urge women who take extended periods to keep lines into some kind of work in their field. Also, in media particularly, whatever you can do to boost resilience, do it. It is easy to feel overwhelmed in this industry at present, finding ways of not allowing yourself to drop out under stress is really important. You have worked across a number of media – what’s your favourite medium and why? I’ve worked in print, a mix of digital and print (blog, news and columns at News Ltd for 10 years) and also some radio — plus TV talking head work here and there. Seeing articles in print is still a huge thrill but digital is my true love now as it is so agile, it is thrilling. It should have a very strong and clear top line; why you must do a story on this issue, backed up with substance (a newsy hook, research, fresh comments from a leader in whatever area is being marketed to us for an article). Avoid whimsy or humour in press releases, go straight for the hard punch of ‘you cannot afford to ignore this one’, and show us why at the top.